I never personally owned a Chevette, but two of my three sisters did, including one of the “Chevette sisters” husbands as well. 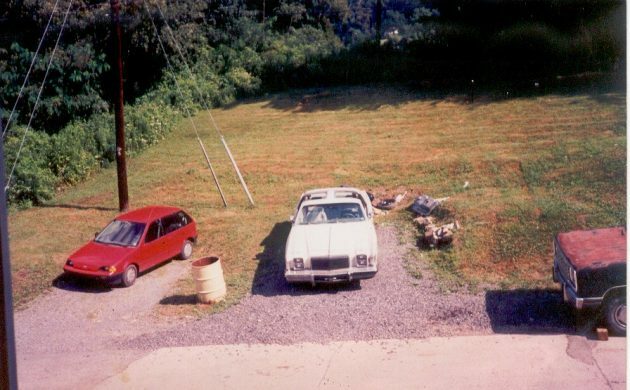 One sister traded a 1972 Caprice for hers, while the other traded a 1976 Monte Carlo for hers. I’m sure there was some adjustment period getting used to a smaller car, with its vices and virtues over the larger models they had previously driven. 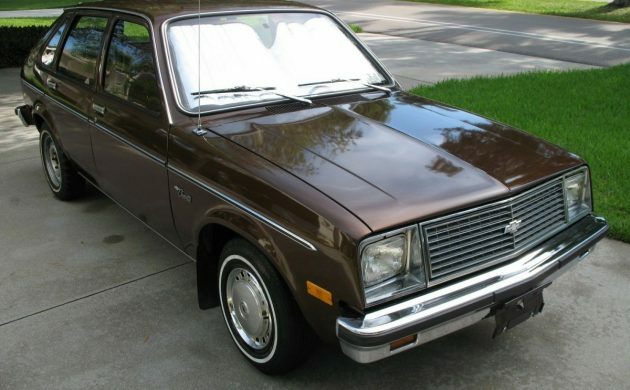 This 1979 Chevrolet Chevette 4-door hatchback sedan is a true survivor that was purchased new by the seller’s 72-year-old grandmother in November 1978. It is for sale here on eBay in Cape Coral, Florida. While we don’t normally think of Chevettes as amazing vehicles, there are a couple of things that make this one stand out. First of all, its low mileage of only 36,000 miles. Grandma didn’t like being thought of as old, but it was mostly used for trips to the grocery store, church, and bingo. While the paint wasn’t the best in the late seventies, it has held up well due to being stored in a garage. The seller has given it a fresh polish. He also includes a lot of information about the car as well as some original sales documentation and repair records. 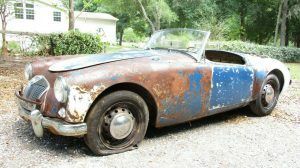 But as a potential buyer, I would have some concern for the surface rust found in the engine compartment and on the bottom side of the hood. 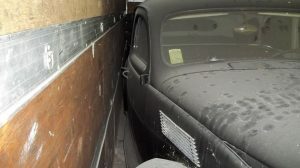 Even though it was stored in a garage, the car is originally from upstate New York which may explain some of that. 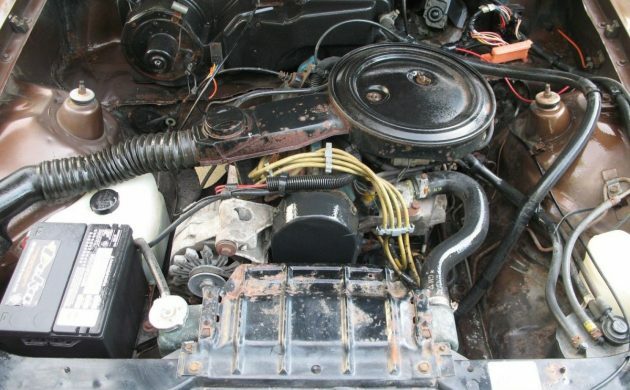 The engine is 1.6 liters 2 bbl; in 1979 many of us were still thinking cubic inches, so that amounts to 98 CID. The interior looks very nice, however, plan on rolling those windows down in the summertime because this one does not come with air conditioning. It does have an automatic transmission and AM radio. The Chevette has not been registered since 2012 but has been started and driven around the neighborhood on a regular basis. These cars were everywhere in the late seventies, the eighties, as well as hanging around until the nineties. But when was the last time you saw one on the road or at a classic car show? Bust off the “Che”, and you’ve got yourself a ‘Vette. Mid life crisis: solved. This is pretty neat. The auto transmission is a bummer here, bigly. It takes away any sense of forward progress that this cars 70-ish horsepower could give you, also any kind of fun has been removed from the driving experience. 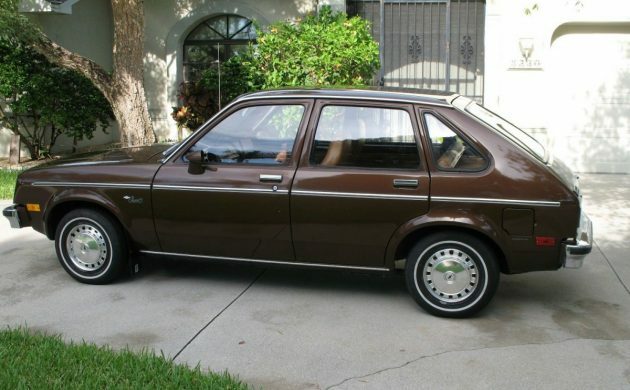 On the other hand it is brown, well taken-care of, is a hatchback, and is unmolested. It would cheer me up to see this car out on the road. What an awesome looking car – said no one ever! The color is right POS brown. It may leave skid marks if you try hard enough. My motto will always be ” Its Only Original once ” I hope new buyer Not molest or Hot rod this beautiful original piece of auto history ! Who would hot-rod a four door Chevette? 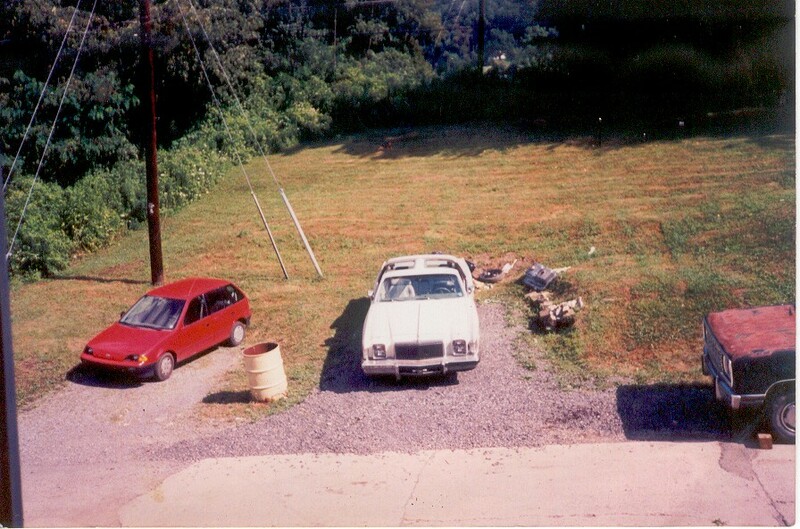 As classic collector and fan regarding Brown cars 2 years ago I wanted stock ALL original 77 to 79 Pontiac Bonneville I found 77 Bonneville Landau coupe base is Brown with cream landau top has 7,900 original miles I was looking for least mileage most original stock Bonneville of this era Regardless of color ! This was almost new condition example I found at time compared to others I seen ! 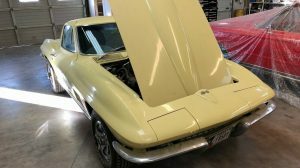 When buying an original stock classic car I prefer condition over color ! My ex-wife drove a yellow one of these and it made it easy to locate her after class. I found out where she lived by following her home one day. I still remember the plate number 819-UTV, but I was driving a new Mustang, she doubled back and caught me red faced and red handed. She still married me anyway, thought I had money. That was 30 years ago, doesn’t seem possible. I would not actively seek out a Chevette, but if a deal too good to turn down came along…I’d buy one. 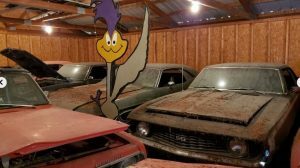 They’ve become a novelty rather than a serious collector car, but still worth their place in automotive history. The Chevette was proof positive, hey, we can build a decent small car too. In my mind, there was no reason to buy a foreign car, when we could make these, even though, many of the parts were of foreign nature. 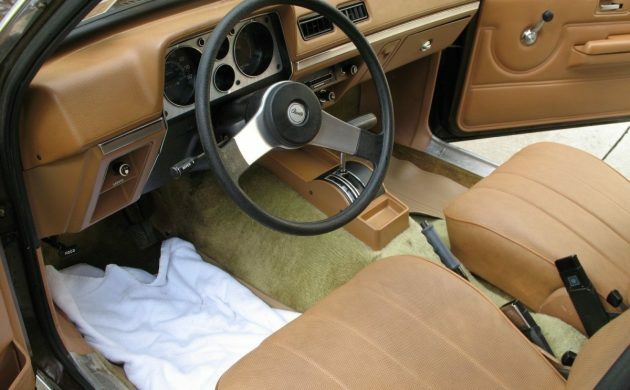 These used a lot of Opel parts( former Opel owners will recognize that steering wheel), but were made in good ol’ USA. This may ruffle some feathers, but I, being a primarily American made car buyer, kind of thought, it was almost un-American to buy a foreign car, jeopardizing the very backbone of our US economy, when this car was as good, if not better than most foreign cars and it provided jobs, that many American’s lost due to foreign cars. It’s all one big glob now, doesn’t matter what you buy, but back then, foreign cars killed our economy,,,for a while. And if you don’t think so, I was around when the whole foreign car thing gained steam. I know, I’ve become my father. I drove enough Chevettes and economy imports that it was competing against in those days. Fit, finish, and quality build is not what they were known for. The Datsuns that I regularly drove were much better cars. Cubic inches are still referred to on today’s models by car buffs and always will be. OMG if it only had a manual, it would still be NOTHING! At least it’s very representative based on the color!!! Nice looking car. I’ve always liked the 1979 and later Chevettes. I know there are some people who hate the car like poison. But I would think there would be some things good about the car. I’d buy one if I could get it with the diesel engine. 1 had a 82 just this one.the carpet was rotted out of it tho. i took all of the smog stuf off of it an put a webber on it and advance cam gears on it and a homemade header on it from a dirt track car(they dirt track raced these in my area) you could wind that little eng,to the moon and the timing belt would break before the eng. would blow up.i had a late 5 spd. ind mine and a 373 gr. people would freak when i would blow by them going up a hill. finally the shock towers broke out of it and started going thur the hood. that is what happened to most of them. i used mine for a truckmost of the time. load it up with old mopar parts and go to swap meats. bracks were junk and would have to down shift it and use the emerg.brake to slow it down. i traded it for an 87 t-top cordova all orig. big block one owner car.the guy that owned thought it was a small block and put plugs in it for a smallblock(smallblocks have long reach plugs in them were big blocks don’t an every time the piston would come up it would smash the gap closed) no fire. i didn’t tell him that and we traded even. i came back with the title and a set of plugs. an hour i was driving off in my new ride. man that 18 yr. boy was pissed.i said you never ask me what was wrong with it, your the one that offered to trade. did i feel bad,no not really put a 440 in the cor. and drove it for yrs.